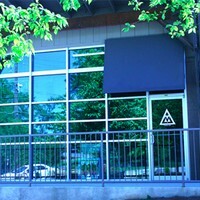 ABV Gallery is a creative agency and gallery space in Atlanta. The organization's name stands for "a better view." The 1,200-square-foot gallery space, available for exhibitions as well as pop-up stores, features pieces from a variety of contemporary artists and designers. Founded by artist/designer Greg Mike, the multi-platform studio specializes in translating the visions and desires of clients into striking visuals and superb products. Combining the design studio with the gallery, ABV develops and exhibits vital, engaging work that challenges expectations. Parking: Free street and lot parking is available near the gallery. MARTA: Take MARTA to the King Memorial Station. Out of the station, walk north on Grant Street, and turn right on Decatur Street. Make a left on Howell Street then a right on Auburn Avenue to reach the gallery.